Whirlpool Estate dryers use the same general principal that all electric dryers use: A metal coil, called a heating element, heats up and glows red while the clothes are spinning, providing the heat that dries them. When the element goes bad you'll know it, because everything about the dryer will seem fine, but it just won't get hot. Whirlpool Estate models' heating elements are accessed by removing a back panel on the machine, which isn't as easy as some models that allow you to just slide the element out, but easier than other models that require you to take the whole dryer apart and remove the drum to get to it. Unplug the dryer and pull it out from the wall. With your pliers, remove the hexagonal nuts holding the sheet-metal access panel in place in the back. Save the nuts and set the panel aside. Take out the screws holding in the cover to the heating element, which will be a flat, slightly rectangular metal box about a foot long. Unclip the two wires that are attached to the heating element on detachable clips. Take out the heating element. Set the new heating element in place where the old one was. Re-clip the wires onto it. Screw it in place using the same screws that came out of the old one, and replace the access panel on the back. Plug in the dryer and test the heat. 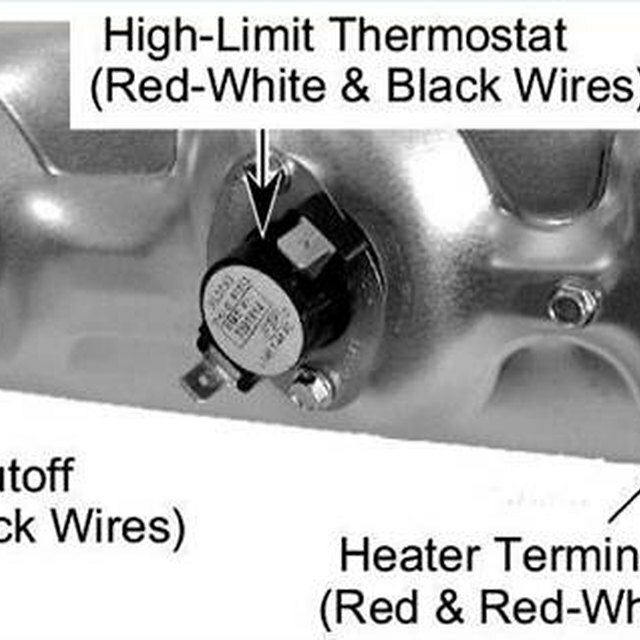 If you can do without your dryer for a few days, it's always a good idea to have the old heating element out and in your hands before ordering the new one online, just to make sure you can see for yourself (from the online photos) that you're getting the correct replacement. Never work on a dryer when it's plugged in.